While marijuana legalization is slowly seeing some progress, a so-called natural marijuana alternative with the street name Spice Drug aka L2 is more readily available. It’s usually a plant material coated with synthetic cannabinoids or other similar substances, which a person can smoke, and offers a high. 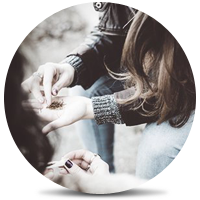 The ability to smoke the drug is one of the main reasons that it’s quickly becoming popular among teenagers. Contrary to popular belief, the Spice Drug is not safe and can have many serious side effects. On top of that, it can be incredibly addictive and can result in extreme withdrawals for people who discontinued after prolonged use. In fact, many experts believe that these withdrawals are more intense compared to those experienced after smoking natural Cannabis. After realizing the risks posed by the synthetic marijuana, several States and governments have declared it illegal. Also, most leading governments and health organizations officially see Spice Drug as a very dangerous and addictive drug. But the million-dollar question is what the Spice Drug side effects are? We can divide the side effects of Spice into two different categories: short-term side effects and long-term side effects. The subject feels happy for no reason and can laugh at things that are not funny. It’s akin to the effects of smoking natural marijuana. That is the biggest reason why people use the Spice Drug. An opinion of a subject can dramatically change right after smoking Spice. Driving or handling heavy machinery is strictly discouraged for the who are under the influence of this drug. Spice drug slows reflexes and makes the person sllazyuggish. You don’t want to indulge in any activity and just want to stay put. Many experts agree that this side effect can immensely impact the productivity of the person. Since Spice is relatively new on the market, scientists have yet to discover long-term side effects of Spice Drug. Health experts link Spice Drug use with heart damage from myocardial ischemia and renal damage. These two are extremely dangerous and clear signs of potential long-term consequences. Some experts also state that long-term use of spice drug can surge seizure activity in people who are prone to seizures. How Serious Can Spice Drug Side Effects Be? Spice drug side effects are usually not life threatening, but there have been some instances where people died after overdosing. For example, in July 2014, Connor Reid – a 19-year-old Californian – slipped into a coma and eventually died after an overdosing on Spice. Doctors weren’t able to detect Spice in his system (we’ll shortly discuss why), but he still had the package in his pocket, and there was no other drug found in his system. New York banned the sale of synthetic drugs in May 2015 and visits to the emergency room due to Spice abuse decreased by 85%. However, before that, residents described that many homeless people who were high on Spice looked like zombies. They had respiratory issues, seemed mentally out of it, paralyzed, staggering, and some would even pass out needing emergency medical care. Why Is Understanding Spice Drug Side Effects Complicated? Spice drug is a name given to a broad range of mixtures of herbs that are sprayed with a particular type of chemicals to mimic the sensation of smoking Cannabis. However, what makes things complicated is the fact that different manufacturers use different herbs. With unknown ingredients, it’s virtually impossible to detect the metabolites in the blood – and this is the reason doctors could never detect Spice in Connor’s system. The ambiguity of the drug not only makes it hard to detect the drug but can also make it extremely dangerous as you never know what you’re smoking or vaping. To wrap things up, Spice Drug or K2 is equally if not more hazardous than Cannabis. Its side effects can range from short-term effects such as euphoria and vomiting to long-term issues such as respiratory problems and hallucinations. In some extreme cases. Users may need emergency medical care. And since, this is a relatively new drug; the long-term side effects are yet to be revealed. However, what makes Spice Drug even more dangerous is the fact that it has no particular ingredients. Spice drug you get from one dealer can have different components from a drug obtained from a different dealer. Therefore, the subject can experience different and more severe side effects from what we have discussed in this quick guide.